Around here at this time, if you see what appears to be a post-and-panel barn without doors and no footprints going to and fro in the snow, you’re probably looking at a boat shed. 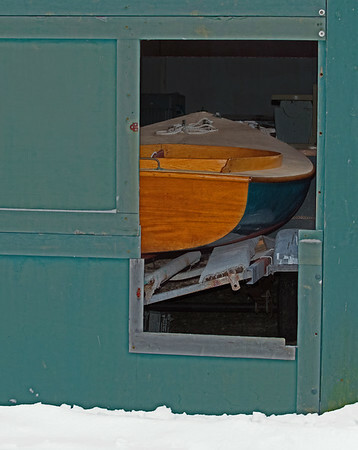 Here’s one on the WoodenBoat Campus; it has a small opening in the back for access. There are beautiful things hibernating inside that won’t be awakened until the spring.